Geotechnical design actually supports every building, bridge, and manmade structure around you. It’s the key to building and constructing. It’s as much the building blocks of civilization at is it the building blocks of our structures themselves. Geotechnical design relates directly to geotechnical engineering. It’s merely the application of areas of study within geotechnical engineering. 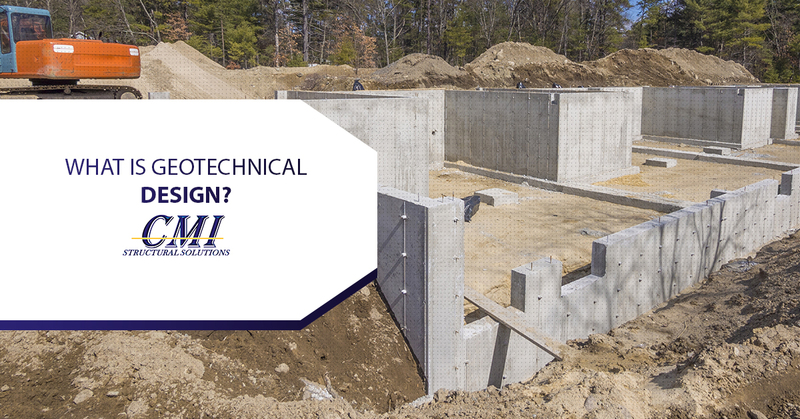 In general, you’ll see geotechnical solutions applied to embankments, storage systems, and the foundations for structures. In general, it’s often employed to prevent soil erosion from getting out of control around a building site or even on floodplains. To accomplish this, engineers take into account the various soil mechanics including subsurface soil conditions and structure which they then use to determine the various chemical and physical needs that will have to be satisfied in order to ensure that the project goes off without a hitch. This is essentially a more in-depth assessment of risk factoring for worrisome project sites. Once a geotechnical design has been created that will allow for great flexibility at the work site and manipulating the soil and subsections of the soil, the project can begin safely. Remember Katrina? That’s actually not a hurricane prevention slogan, it’s a reference to geotechnical systems and shoddy design. The places that need geotechnical construction techniques the most will almost always be the coast. 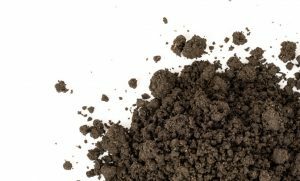 The soil is shifty and unreliable and most importantly it’s likely to get tossed about in hurricanes and tropical storms with more power than can calculated during construction. Employing geotechnical systems to unreliable environments means that your building and the bridges put in place to get people safely away from those storms that are endangering everything. Katrina relates directly to this because of the fact that the geotechnical engineering employed structural solutions poorly and received the result that was, to some extent, expected. Ocean engineering is actually just geotechnical design on the coast. 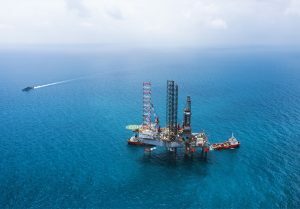 Mainly, the study concerns itself with a whole slew of structural dependence issues such as anchor systems, oil platforms and other offshore structures. All of those shoddily built oil rigs that automatically spilled oil into the ocean and covered ducks and fish alike with the slick black blood of the earth can be attributed to terrible structural solutions and unintelligent geotechnical designs that couldn’t even stand the test of a few waves, let alone the test of time itself. The earliest forms of geotechnical engineers that specialized in ocean engineering came in the form of divers in those 200-lb “ diving dresses” or suits made of canvas and tubes that looked like something out of 20,000 leagues under the ocean. Nowadays, ocean engineering is much easier although tricky because of the constantly moving property of the soil itself. Geosynthetics have helped to bandage common geotechnical designs specifically suited to the ocean and coastal implementation. Civil engineering is marked by its reliance on code and more equations while geotechnical engineering is ruled by competent and relevant experiences. 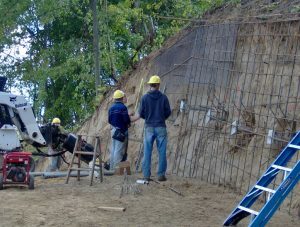 Geotechnical engineering is defined by its sound judgments and minor dependency on the code that literally define civil engineering techniques. 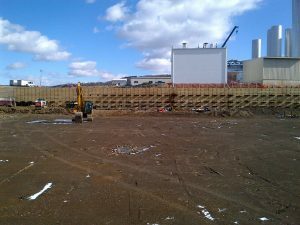 When a geotechnical engineer goes to evaluate a building site, they’ll look at the fluid motion of the soil and physical rock properties and then apply evaluating engineering techniques and properties to that same soil and rock. The subtle design and construction methods that are needed are instantly visible to a geotechnically fueled mind. They can also usually sniff our clearly more cost-effective solutions that are much more durable and safe. The observation aspect of the study pushes a certain dependence on common sense as well as using natural examples from the earth and surrounding area of non-man made structures that are strong and then recreating the design. A geotechnical analysis will include an evaluation of the hazards that the earth might cause for a building including things like landslides, rock falls, and other natural disasters that would be hard to avoid otherwise. They’ll also be able to determine the bearing capacity potential elements that might deform the foundation and how the soil and underground structures might interfere and interact the foundation. They’ll factor in details about earth pressure and how the retaining wall is doing as well as an in-depth analysis of embankment behavior nearby. In general, their work will also include an analysis of the surrounding tunnels and excavations as well as a conclusion as to how all of these things collected in their report could affect the current job site. It’s the first step to applying the scientific method to a building site. If proper geotechnical designs were made for the previously mentioned disasters could have been avoided by applying for constant geotechnical design support and truly analyzing the land around the structure and making educated building decisions based off of detailed reports. If you’re getting ready to build on your build site, reach out to us. There’s no reason your new structure should fall at the hands of nature. Understanding soil patterns and rock compositions and how all of those will attempt to resist your new project will ensure that it can stand the test of time. Find out more about our various design services.